Linear audio reproduction and USB studio interface. M1Active 520 USB is a studio monitoring system designed for professional studio use with an internal digital-audio interface. M1Active 520 USB is a pair of active, bi-amplified, two-way reference monitors that play from 20,000 Hz all the way down to 56 Hz to cover nearly all frequencies audible to human ears. You can take USB digital signal out of your computer via USB and input it to M1Active 520 USB for low-noise, low-distortion performance. 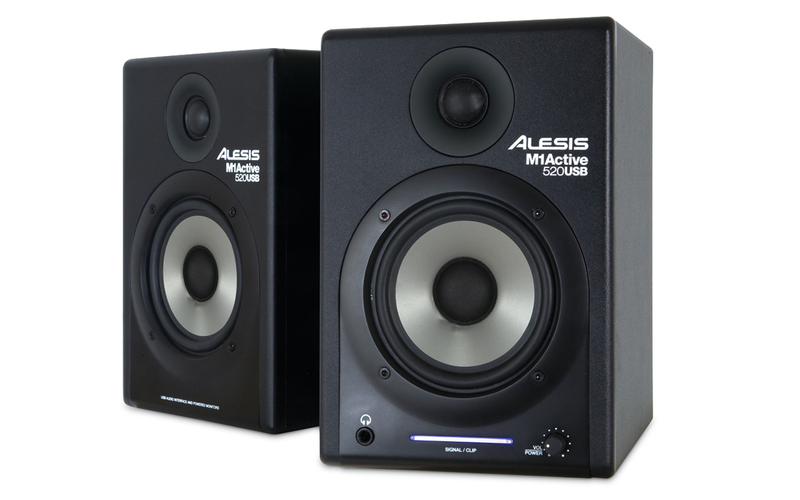 Priced attractively for any studio's budget, M1Active 520 USB perform with linearity, clarity, and neutrality typically reserved for monitors that cost much more. We built M1Active 520USB around our popular five-inch polypropylene low-frequency driver for full, smooth response in the low end and our one-inch silk dome high-frequency driver for absolute clarity in the highs. Our custom crossover avoids the crucial vocal midrange, ensuring that your mixes sound the way you recorded them.